The beautiful landscape in Savoie. I really like sparkling wine and so I jumped at the chance to attend the 26th National Crémant Competition in France. 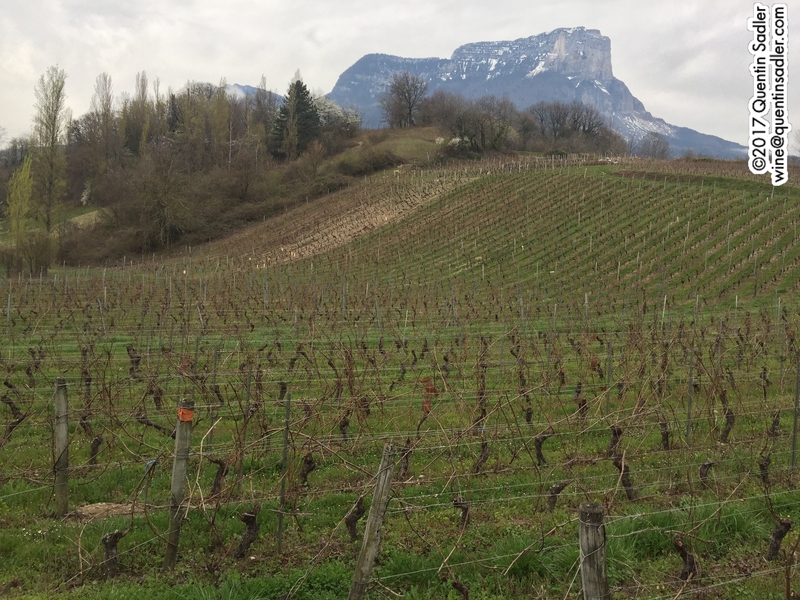 This was held in Savoie in the French Alps, a region that I had never visited before, and hosted by the (French) National Federation of Crémant Growers and Producers. Crémant (pronounced cray-mon) is a term that defines certain sparkling wines made outside France’s Champagne region, but uses the same method, the traditional method, to make them fizzy. I think Crémant is a lovely word that describes sparkling wines perfectly as it sounds so deliciously creamy and frothy. I loved the landscape of Savoie. This organisation oversees the production of all the different Crémant sparkling wines that are produced in France; Crémant d’Alsace, Crémant de Bordeaux, Crémant de Bourgogne, Crémant de Die, Crémant de Jura, Crémant de Limoux, Crémant de Loire and the new appellation contrôlée of Crémant de Savoie, that was only created in 2015. Luxembourg also has the right to use the term Crémant for its sparkling wines and examples of Crémant de Luxembourg were included in the competition. Crémant must be made using the traditional method, so the second fermentation – that makes it fizzy – takes place inside the bottle that you buy. The wine then has to be aged on the lees – the yeast cells left over from the second fermentation – for at least 9 months and this allows some of the biscuity, brioche aromas and flavours to develop, making the wine more complex. Also the grapes for Crémant must be picked by hand and they are normally picked about 2 weeks before the grapes for still wine as you need high acidity for sparkling wine. Some of these areas have pretty big production and so are widely seen, while others are only produced in tiny amounts and so very rarely encountered. Overall around 80 million bottles of French Crémant are produced a year, with roughly 70% of that being drunk in France itself, which makes sense as we do not often see it over here in the UK. The big production is in Alsace, 35 million 75cl bottles in 2016, Bourgogne with 18 million and the Loire with 15 million. Bordeaux produces around 8 million bottles of Crémant, Limoux around 5 million, Savoie 380,000 and Die (in the Rhône) just 216,000 bottles in 2016. Champagne of course is made from Chardonnay, Pinot Noir and Pinot Meunier grapes, but a wider palate of grape varieties is used for the Crémant wines. 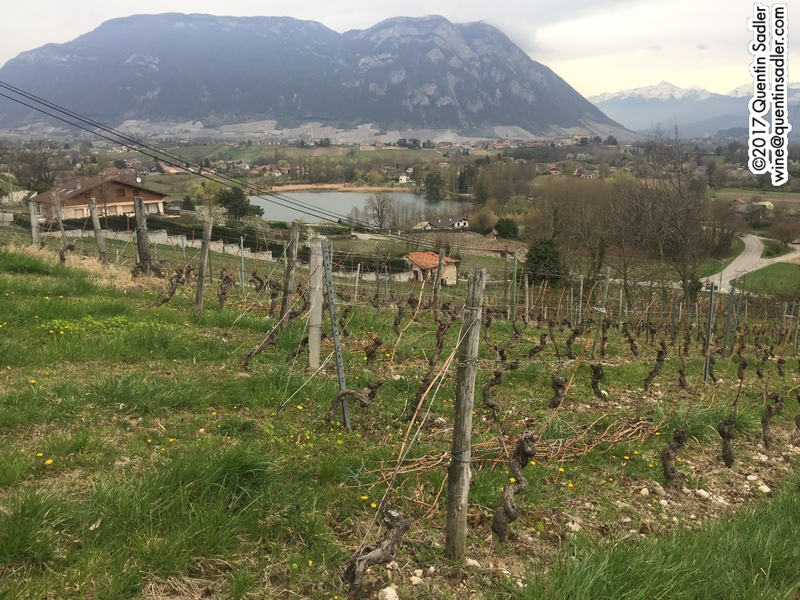 The dramatic vineyards of Savoie. Crémant de Bourgogne wines have to include at least 30% of Chardonnay and Pinot Noir and are usually made from those grapes, but Pinot Blanc, Pinot Gris, Gamay, Aligoté, Melon Blanc and Sacy are also permitted. Rather confusingly the area of production for Crémant de Bourgogne includes Beaujolais, which nowadays is normally regarded as a separate region. Crémant d’Alsace is usually made from Pinot Blanc and the rosé versions from Pinot Noir, but Riesling, Pinot Gris, Auxerrois and Chardonnay are also permitted. In fact Chardonnay is only grown in Alsace for use in Crémant. Crémant de Loire, as you might expect, is chiefly made from Chenin Blanc and Cabernet Franc, but Chardonnay and Pinot Noir can be used as can Grolleau Noir, Grolleau Gris, Pineau d’Aunis and the very rare Orbois (also called Arbois). Crémant de Bordeaux is made primarily from Sémillon with Sauvignon Blanc and the rosé examples include Cabernet Sauvignon and Merlot. Crémant de Limoux, in the Languedoc, is made from Chardonnay and Chenin Blanc, while the local Mauzac and Pinot Noir are also allowed. Crémant de Jura is usually made from Chardonnay, Pinot Noir and Trousseau, while Poulsard makes an appearance in the rosés. 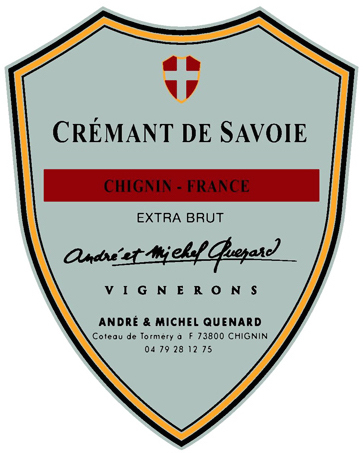 Crémant de Savoie mainly uses the traditional Savoie varieties of Jaquère and Altesse, but Chasselas, Chardonnay, Pinot Noir and Gamay can also be used. Crémant de Die is pretty much only made from the underrated Clairette grape, while Aligoté and Muscat can also be used. 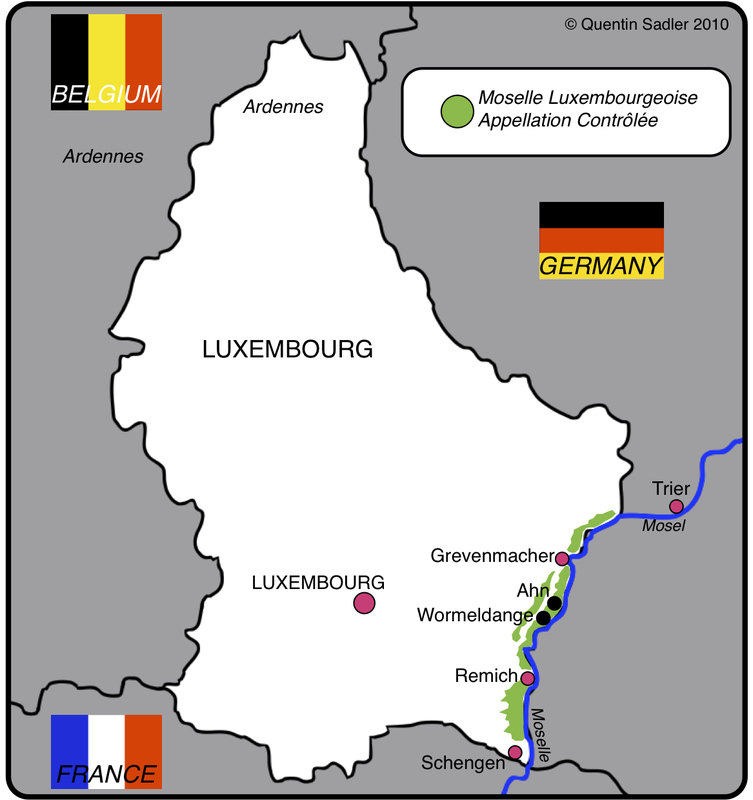 Crémant de Luxembourg can be made from Pinot Blanc, Chardonnay, Pinot Noir, Riesling, Auxerrois, Rivaner (Müller-Thurgau) and Elbling. In total some 707 wines were entered into the National Crémant Competition, including 80 entries from Luxembourg, and 222 medals were awarded, 129 gold, 74 silver and 19 bronze. 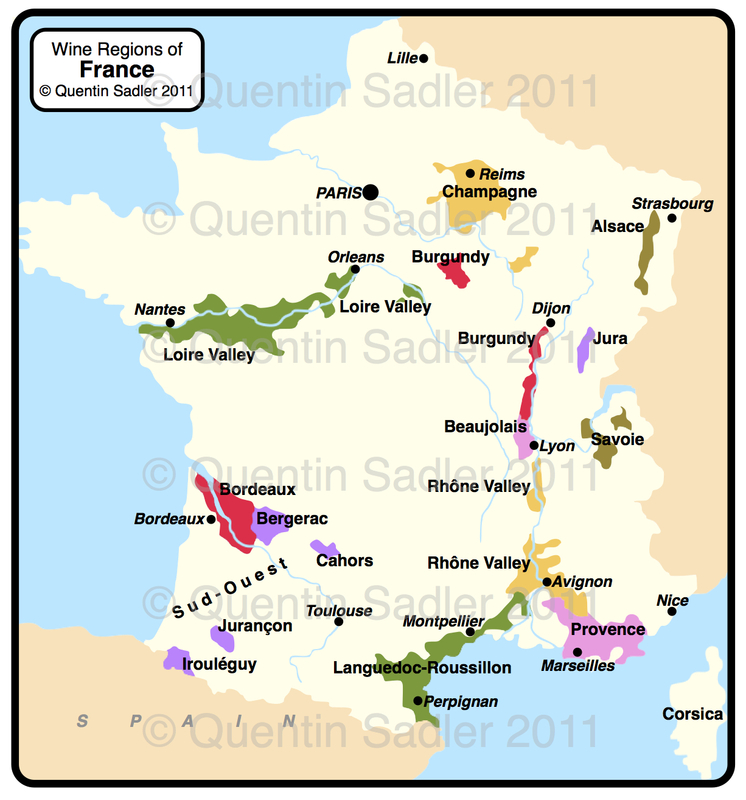 Wine map of France – this shows all the regions mentioned, except Luxembourg – click for a larger view. A blend of Pinot Blanc and Auxerrois and aged for 15 months on the lees. Cattin was established in 1720 and 11th generations of the Cattin family have run the estate. They are based in the village of Vœgtlinshoffen, near Colmar and farm 60 hectares in the area. As far as I can tell this wine is not available in the UK. Another excellent Crémant d’Alsace is the one made by Bruno Sorg – click here. 100% Sémillon aged minimum of 9 months in the underground cellars of Maison Remy Breque. The company is based a little north west of Libourne and the cellars were where the stone was quarried for building the city of Bordeaux. The company was created by Remy Breque in 1927 and is now run by his grandson and great grandsons. As far as I can tell this wine is not available in the UK. Another great value Crémant de Bordeaux is the one made by Calvet – click here. 60% Merlot and 40% Cabernet Franc. This cooperative is a little south west of Castillon-la-Bataille. As far as I can tell this wine is not available in the UK. 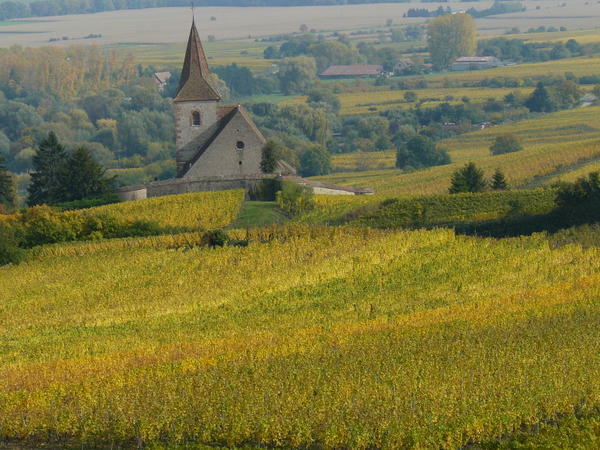 This cooperative is based in Saint-Bris-le-Vineux near Auxerre in the north of Burgundy. It has 10 acres of amazing cellars cut in to the rock , where they age the Crémants. This is 100% Pinot Noir, so is a Blanc de Noirs, or white wine made from black grapes. It is aged for 18 months on the lees. Available in the UK from Tannico.co.uk. – click here. Another very fine Crémant de Bourgogne is the one made by Albert Bichot – click here. Principally Clairette with some Aligoté and Musact, this is aged on the lees for 12 months. Cave Carod were a family company making sweetish sparkling Clairette de Die and are managed by the 4th generation of the Carod family tone involved, although it has been owned by Les Grands Chais de France since 2008. 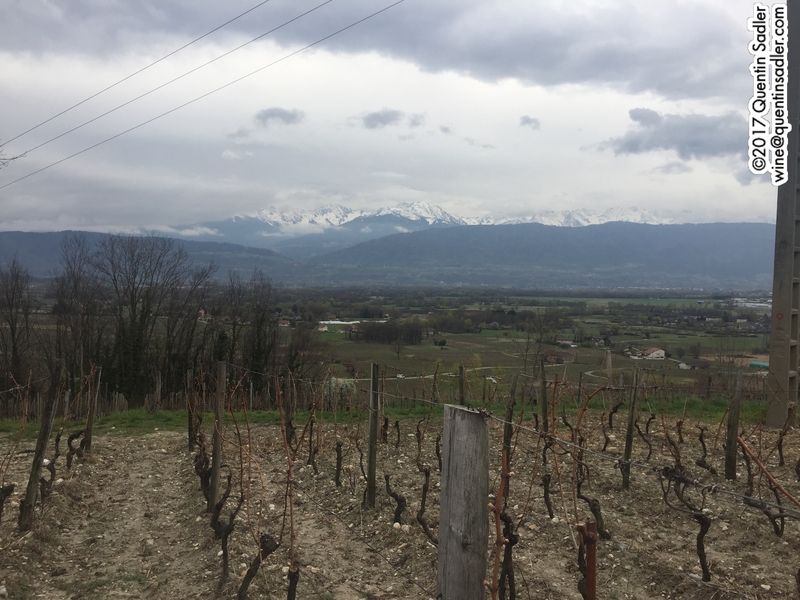 As far as I can tell this wine is not available in the UK, however I would recommend the lovely example made by Domaine Achard-Vincent – click here. The Maison du Vigneron is the largest negotiant and producer in Jura and is now part of Les Grands Chais de France. I have tried their wines quite often and they can be very good. This is a blend of Pinot Noir and Poulsard grapes. As far as I can tell this wine is not available in the UK, however I would recommend the lovely example made by Domaine de Montbourgeau – click here and the one by Domaine Jean-Louis Tissot – click here. I would also recommend the great value Crémant de Jura sold by Aldi, it is good quality and astonishing value – click here. A blend of Pinot Noir and Trousseau. This is the smallest cooperative in Jura and is run more like an estate. They farm using sustainable agriculture and 50% of their production is their range of four highly respected Crémants. Jura wines are quite fascinating and well worth getting to know. The definitive book on the wines of the Jura is ‘Jaura Wine’ by Wink Lorch and yours truly drew the maps for the book – it can be purchased here and here. A blend of Chardonnay, Chenin Blanc and Mauzac aged 18 months on the lees. 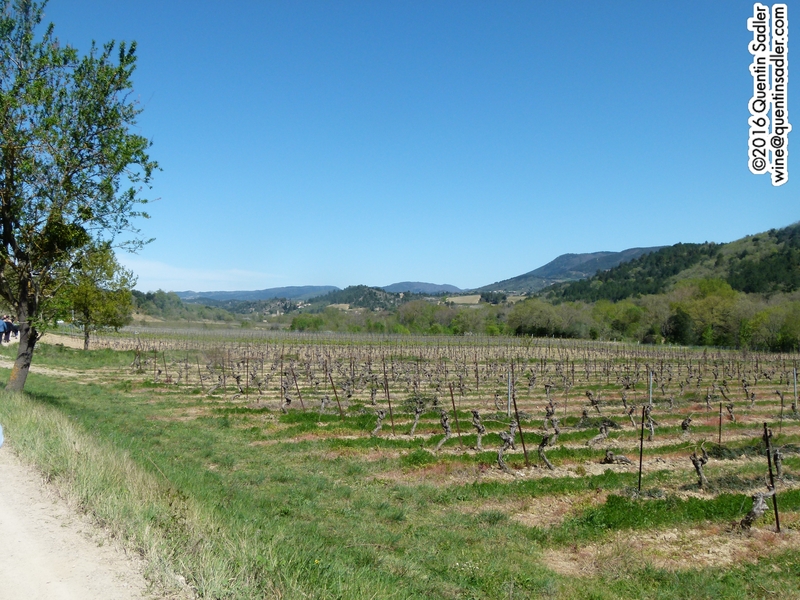 Sieur d’Arque’s Limoux vineyards, April 2016. Sieur d’argues is a cooperative producer that makes a wide range of wines, some of them very fine indeed, but who really specialise in sparkling. This is because the first intentionally sparkling wine in the world is believed to have been made by the Benedictine monks of the St Hilaire Abbey, a village close to Limoux in 1531. What is more it was by the traditional method and so that method predates Champagne itself. Blanquette de Limoux is the traditional local sparkling wine made from the local Mauzac / Blanquette grape, while the more modern Crémant de Limoux has to be blend of Chardonnay and Chenin Blanc with just a little Mauzac. Available in the UK from Tesco Wine by the case – click here. Sieur d’Arques also make this excellent Crémant de Limoux – click here. I would also highly recommend the superb Crémant de Limoux made by Domaine J. Laurens – click here. 100% Chardonnay with 12 months ageing on the lees. Domaine de la Gachère is some 20 km south of Saumur and is run by twin brothers Alain and Gilles Lemoine. They are very impressive winemakers. As far as I can tell this wine is not available in the UK, however it is fairly easy to buy Crémant de Loire in the UK. Try Prince Alexandre Cremant de Loire from Waitrose or Sainsbury’s Taste the Difference Crémant de Loire. I would also highly recommend the Crémant de Loire made by Domaine de Saint-Just, it is not available in the UK, but it remains one of the finest non Champagne sparkling wine that I have ever drunk. 70% Pinot Noir blended with 30% Auxerrois. This estate in the beautiful Luxembourg Moselle vineyards is farmed by the Vesque family who have been vigneron in the Grand Duchy since 1762. They grow Auxerrois, Pinot Blanc, Pinot Gris, Pinot Noir, Riesling, Chardonnay and Gewürztraminer and make their Crémants out of Pinot Blanc, Auxerrois and Riesling as well as Pinot Noir. As far as I can tell this wine is not available in the UK and it is very hard to find Crémant de Luxembourg wines over here, however Tanners stock a fine one called Lmeaax – click here. 100% Jacquère from a wonderful, steep and stony 22 hectare estate whose wines I loved. It is run by Michel’s sons Guillaume and Romain and is among the best known and respected producers in the region. Certainly I liked everything that I tasted, they have a wonderful Alpine purity to them that find appealing and exciting. 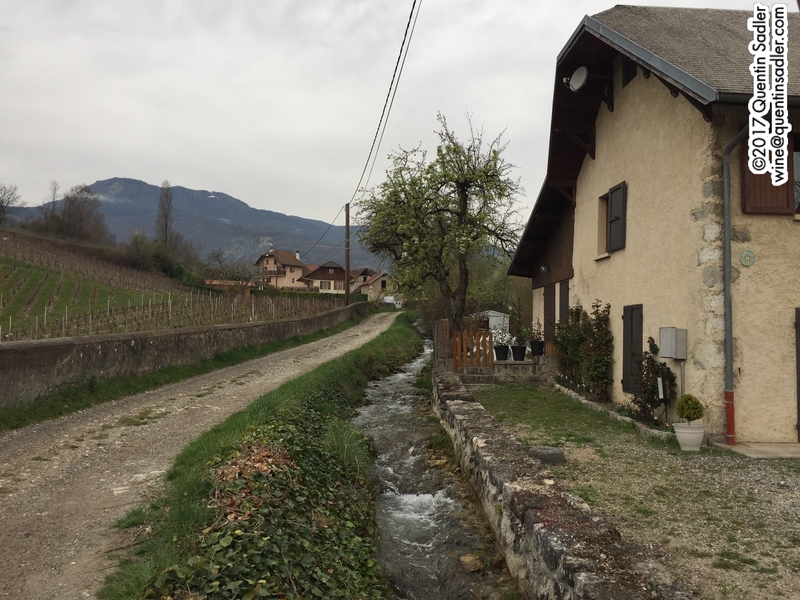 Vineyards and a lovely mountain stream right by Domaine André et Michel Quenard. As far as I can tell this wine is not available in the UK and it is very hard to find Crémant de Savoie wines over here, however Yapp Brothers stock a fine one from Domaine de L’Idylle, also see here, whose wines I liked very much – click here. It is also available at the excellent Streatham Wine House. All in all it was a terrific trip that enabled me to see a new place and to taste a huge raft of sparkling wines,many of which were completely new to me. So, the next time you want some good fizz, it doesn’t have to be Champagne, Cava or Prosecco, there are plenty of alternatives. Trimbach vineyards in Ribeauvillé, courtesy of Maison Trimbach. I presented a wine at a tasting last night that had all the criteria to be my wine of the week. It is delicious to drink, stunning quality and great value for money – what more could you ask for? Well, for me nothing, but it will leave a great many people cold because this wine is a Riesling. Riesling – pronounced Reez-ling – is one of my absolute favourite grapes. It is a grape that, when it’s good, shows such diversity of styles and yet always maintains a purity and a minerality which makes the wines feel poised, fine and elegant. Most UK consumers seem to resist the delights of Riesling because they think that they shouldn’t like it, just as they shouldn’t like Chardonnay anymore, because they now drink Pinot Grigio and Sauvignon Blanc. Many UK consumers assume that all Riesling is sweet and even when they taste a dry one often pull a face and pronounce it to be sweet. I find the resistance to Riesling in this country to be very odd, I love dry Riesling and I also love Riesling with some sweetness – what’s not to like about a wine with a little sweetness? Anyway, my wine of the week is a dry Riesling from the wonderful French region of Alsace. Despite being in the north east of the country Alsace is one of the driest, warmest and sunniest spots in France and that is why they can produce fully ripe, dry Rieslings. With the Vosges mountains, its half timbered houses and walled medieval villages it is also one of France’s most beautiful regions, although it’s Germanic culture does set it apart from the rest of the country. The people speak a Germanic language and much of the superb cuisine has a German slant to it. 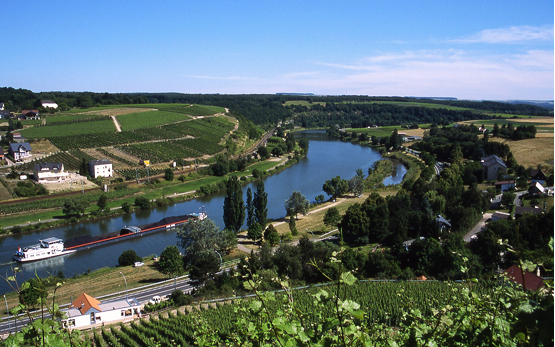 It is that Germanic culture that has given them both of their most important grape varieties – Riesling and Gewurztraminer. 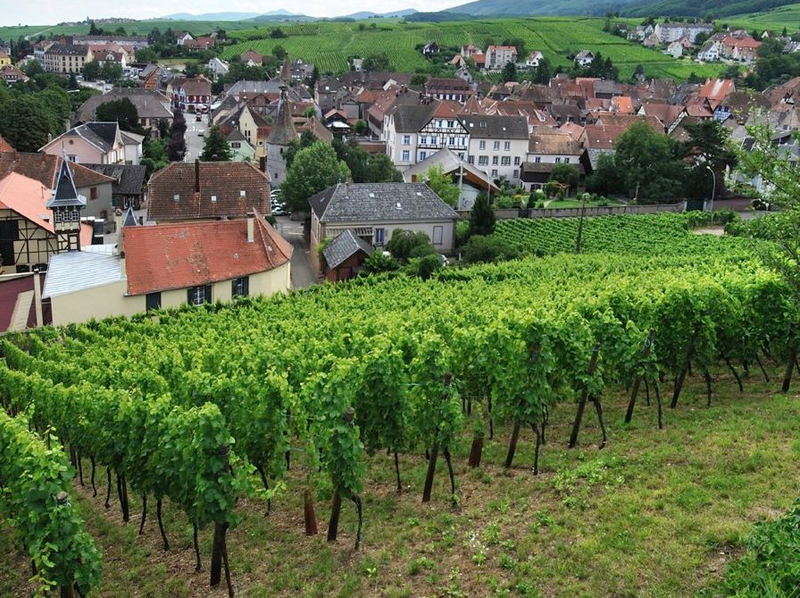 Founded in 1626 Trimbach is one of the great old wine houses of Alsace and 12 generations on is still family run in the delightful town of Ribeauvillé. They produce a wide range of wines including all the famous Alsatian grapes, but are something of Riesling specialists as they produce two of the most iconic examples in their Riesling Clos Sainte Hune and Riesling Cuvée Frédéric Emile. This example though is their most humble Riesling from their ‘classic’ range, but it is a splendid example of just how delicious Alsace Riesling can be. This wine is bone dry with an elegant, stony and apply nose. The palate is wonderfully concentrated with some fresh and cooked apple notes, lemons and dry honey. It also has pure, fresh, clean acidity and minerality that keeps it lively, crisp and taut. The finish is refreshing, thrilling and long with some apple and pear skin succulence to it too. This is a superb dry white wine that everyone should try as it is delicious and versatile. I would expect anyone who likes Sauvignon Blanc would enjoy it if they are open index enough to give it a taste. It is wonderful as an aperitif, with fish or light meals and even with Thai cuisine – 89/100 points, it scores high marks for being such great value. Available in the UK from The Wine Society for £10.95 per bottle and £11.99 per bottle from Majestic. Other UK stockists are available here. US stockists are available here. So, please do try this wine, it is a great dry white for summer that will go with all sorts of food, it’s salads and goat’s cheese as well as fish, white meat and spicy food. What’s more if you don’t finish the whole case, the high acidity ensures that it ages well too, so there’s no hurry to drink it all. In keeping with many of us in the wine business, I love the Riesling grape. In many ways, for me, it is the grape. The one I love before all others. If a Riesling is on offer, it always calls to me and it pains me that so many people seem indifferent to its charms. It follows from this that I like to present Riesling to consumers and hope that my love of the grape variety will rub off on to them. To that end I am always trying to win people round to Riesling. It has to be admitted that my success has been patchy, many people who enjoy other wines seem unable to find the pleasure in a fine Riesling that I do, but I have had some converts recently and it was two particular Rieslings that did it, so I thought that I would share them with you. They are both very different in style, but both are hugely enjoyable as well as being affordable. If the delights of Riesling have passed you by, will you do me a favour – give it one last try. Today may be the day that you see the Riesling light and these may be the examples that win you round. Riesling is a bit like Marmite – you either love it or hate it. Most of us in the wine business love Riesling, indeed many of us would class it as one of our favourite grapes, right up there with Pinot Noir. Ask most consumers to list their favourite grapes, however and it is pretty unusual for Riesling to feature at all. My recent article about Alsace has moved me to try more from that lovely region and my efforts have been rewarded with a most extraordinary wine.